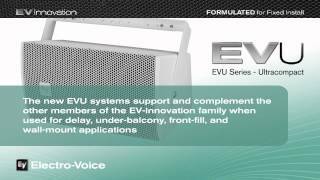 Bringing ultracompact design to the EV Innovation family of installation loudspeakers, the EVU series shines in applications including delay, under‑balcony fill, front‑fill, wall mounting and distributed audio. 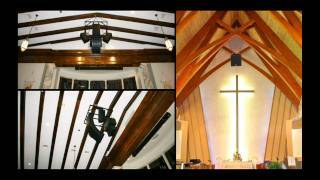 EVU loudspeakers feature a rotatable Constant Directivity waveguide that provides truly uniform sound dispersion while allowing the horizontal coverage pattern to be independent of enclosure orientation. Sonically matched to complement the other EV Innovation products, EVU helps make EV Innovation the industry&apos;s most comprehensive and versatile line of installed‑sound loudspeakers. A fourth‑order, 90 Hz high‑pass filter is recommended for use with all EVU loudspeakers.